A wonderful day spent with Chamrong as we visited Beng Mealea and Koh Ker temples. I would recommend this day trip to anyone and certainly Chamrong is an excellent guide. 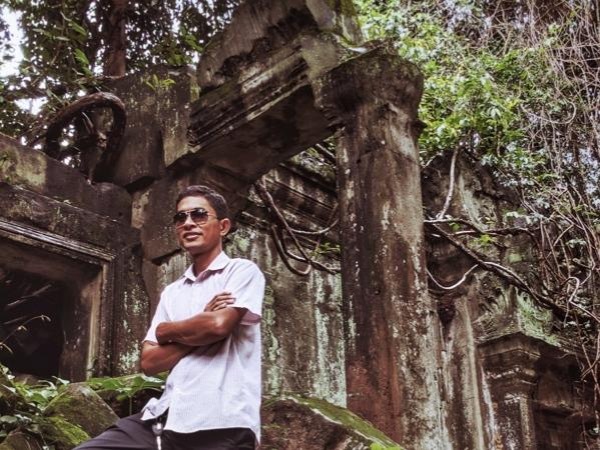 His spoken English and understanding of English is excellent, he was easily able to answer all my questions about the temples and Cambodian way of life. The drive was in air-conditioned comfort and it allowed us to get out of the city to see the village life. As the temples are out of town, it was peaceful and breathtaking.